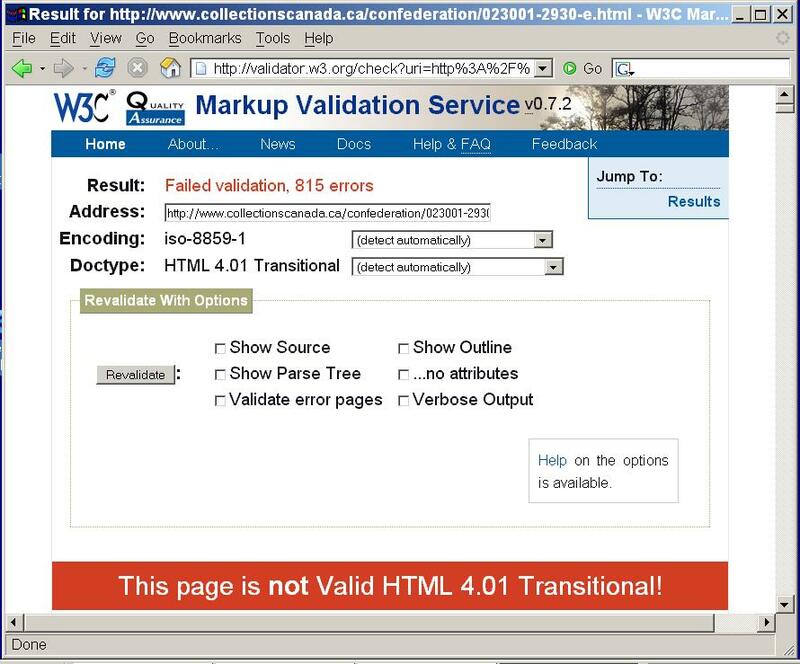 The Library and Archives Canada website routinely ignores the Government's standards for website design. 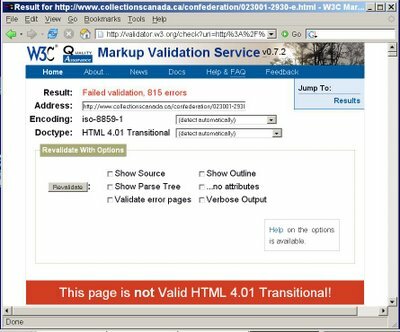 Failed validation report: Library and Archives Canada, Confederation Bibliography. For a full-size view, click on the image.